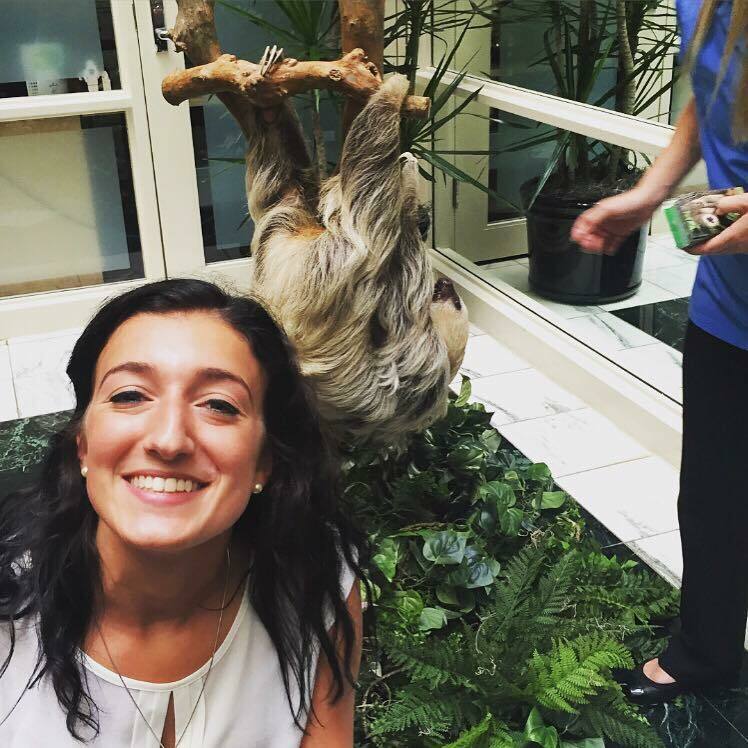 I spent my summer interning at the World Wildlife Fund’s United States headquarters in Washington, DC. For as long as I can remember, I’ve admired the work of WWF and have dreamed of making a difference with them. That dream came true this summer as I helped plan their annual Kathryn S. Fuller Science for Nature Symposium as their Fuller Fund Intern. The symposia series, celebrating its 10-year anniversary this year, brings conservation scientists and thought leaders from around the world together to discuss specific issues in the conservation field. This year’s symposium is focused on building resilience to climate change through changes in conservation practice. Planning the symposium was a team effort, with members of WWF’s science, freshwater, and climate teams making up the symposium committee. My role on the committee was to document and research all potential topics/content and speakers mentioned in meetings as well as perform my own research on subject matter. As we narrowed down individuals who we thought would contribute important and challenging messages to the symposium, I drafted invitations for them to speak that WWF-US’s Chief Scientist personally sent to them. Another important role I played in planning the symposium was selecting images from WWF’s archives that will be used to create an art piece for display at the symposium in November 2016. I chose images from the areas of the world where WWF is working on resilience that reflected the ecosystems, biodiversity and local communities in those areas. I’m very excited to see the artist’s final product! WWF provided an amazing learning opportunity for me, as I was able to work with some of the world’s leading scientists and attend speakers and presentations on various topics in conservation. I wrote blog posts/articles for WWF’s internal network summarizing the most important details of these events so that employees who were unable to attend them could learn what work was taking place. Thanks to this experience, I am more well versed in conservation and environmental issues and have a greater understanding of how nonprofits function. I can see myself working for a nonprofit conservation organization in the future, and my time at WWF helped me develop critical skills in research, scientific event planning, and environmental education while also contributing to my education as an Environmental Fellow. And I made some furry friends along the way! Photograph: Madeline with a two-toed sloth during Sea World’s Conservation Team’s visit in June. This endangered species sleeps an average of 15 hours per day!